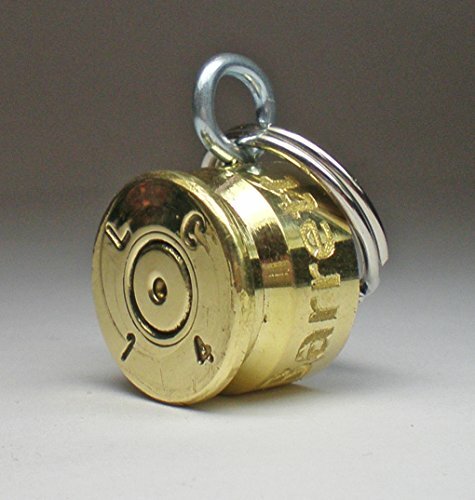 Made from a genuine 100% Authentic 50 BMG Caliber Components............................................. Please remember to Enter all of your engraving info in ""Select Options"" at checkout.......................... The Tag shown in the photo's is engraved with Pets Name, Phone Number................................. Try to keep engraving info as short and sweet as possible...................................................................... Remember, its job is to get your pet home if they become lost................................................................ You will receive your piece exactly as shown in the photo's. If you have any questions about this product by Wild West Jewelry Shop, contact us by completing and submitting the form below. If you are looking for a specif part number, please include it with your message.